Fifteen minutes from downtown Charlotte, 5 minutes from I-485. MLS#3496263. 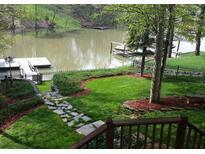 Select Premium Properties Inc.
River Hills - Fire pit, tons of storage, the list goes on! MLS#3493686. Keller Williams Union County. Community features include public golf course & restaurant, walking trails, tennis court, waterfront parks, beaches, marina, and boat ramps. MLS#3495644. Highgarden Real Estate. Cooks Cove - This home is a pleasure to show and will not last long. MLS#3495470. HM Properties. Make Regency at Palisades your new home & right size without compromise. MLS#3490734. Toll Brothers Real Estate Inc.
Make Regency at Palisades your new home & right size without compromise. MLS#3475725. Toll Brothers Real Estate Inc.
Make Regency at Palisades your new home & right size without compromise. MLS#3490726. Toll Brothers Real Estate Inc.
Make Regency at Palisades your new home & right size without compromise. MLS#3475722. Toll Brothers Real Estate Inc.
Make Regency at Palisades your new home & right size without compromise. MLS#3493559. Toll Brothers Real Estate Inc.
Make Regency at Palisades your new home & right size without compromise. MLS#3493563. Toll Brothers Real Estate Inc.
Make Regency at Palisades your new home & right size without compromise. MLS#3493596. Toll Brothers Real Estate Inc.
Make Regency at Palisades your new home & right size without compromise. MLS#3493591. Toll Brothers Real Estate Inc.
Make Regency at Palisades your new home & right size without compromise. MLS#3490716. Toll Brothers Real Estate Inc.
Make Regency at Palisades your new home & right size without compromise. MLS#3490718. Toll Brothers Real Estate Inc. The last 15 GREAT home sites in the well-established Morningside area of The Palisades are ALL being built on for Summer move-in! MLS#3496133. Lennar Sales Corp. The last 15 GREAT home sites in the well-established Morningside area of The Palisades are ALL being built on for Summer move-in! MLS#3496138. Lennar Sales Corp.
**Must see one of a kind home designed exclusively for the builder/owner, constructed with only the finest craftsmanship and materials. MLS#3495700. First Flag Property Advisors LLC. a breathtaking clubhouse, pool, tennis courts, marina, soccer field and 5 miles of paved walking trails aside beautiful ponds! MLS#3495924. Allen Tate Belmont. The Palisades - Extensive outdoor lighting, security system, surround sound thru out home, extra insulation in ceiling and wall for sound proofing, Outdoor living and entertaining at its finest with built in grill and stone fire place on patio with golf course view. MLS#3495582. ProStead Realty. Only immediately available home under $400,000 at the Regency at Palisades! MLS#3495623. Select Premium Properties Inc.